Ocean County Freeholder Joseph Vicari said this week that, in the wake of the death of Cuban dictator Fidel Castro, the United States should demand the return of Joanne Chesimard, a convicted killer of a New Jersey State Police trooper who has been harbored in Cuba for decades. With the recent death of Cuban dictator Fidel Castro, there has never been a better time for the United States government to demand the return of convicted cop killer JoAnne Chesimard. 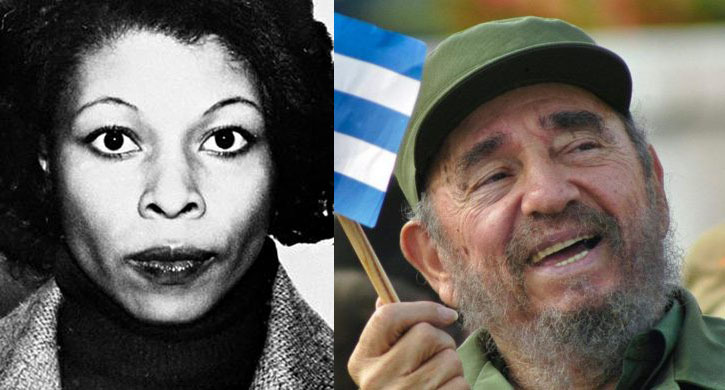 Forty-three years after she executed a New Jersey State Trooper in cold blood, Chesimard remains free, a “guest” of Cuba’s totalitarian regime. President Obama, while claiming he wanted to improve relations with Cuba, has made no effort to jail Chesimard. I now call on President-elect Donald Trump to insist that any further normalization of relations between our two nations must hinge on Chesimard’s immediate return. In May 1973 Chesimard, the first woman to ever make the FBI’s Most wanted terrorists list, shot Trooper Werner Foerster in the head on the cold pavement of the New Jersey Turnpike. After escaping from prison in 1979, she surfaced in Cuba, where she is hailed as a revolutionary hero. The message from law enforcement and from all law-abiding citizens is clear: no more talks with Cuba until Chesimard is brought home in chains.